In a recent ruling by the Appellate Division of New York, the court determined that a trash truck driver who entered an intersection without yielding sufficiently bore 100% of the legal responsibility for an ensuing accident where the other driver had no duty to yield. The case recently decided by the court, Fuertes v. City of New York, was based on an accident that occurred at the intersection of 109th Street and 205th Street in Queens. The plaintiff, Hugo Fuertes, was traveling on 109th Street, which did not have a stop sign. Darrel Lindo was driving a sanitation truck on 205th Street, which did have a stop sign. Lindo’s truck collided with Fuertes’ vehicle, and Fuertes was injured. Fuertes brought a personal injury lawsuit against Lindo and the City of New York as Lindo’s employer, and filed a motion for summary judgment on the issue of the defendants’ liability. Fuertes argued that Lindo’s negligent failure to yield to Fuertes was the sole reason that the accident occurred. Defendants argued that Fuertes was comparatively at fault for not avoiding the accident, since he failed to yield once he saw Lindo enter the intersection. The trial court denied Fuertes’ motion, and he appealed. Under New York law, courts will apply the rules of comparative fault to claims based on injury accidents. 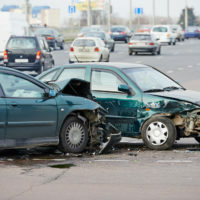 A defendant might claim that a plaintiff is comparatively at fault for the accident and resulting injuries, since the plaintiff acted or failed to act in some way that could have prevented their injuries. For example, a pedestrian who was crossing a street after the crossing signal had turned red who is hit by a car might be deemed comparatively negligent for being in the intersection at that time. Courts will then determine what they believe is the percentage share of fault each party bears, and will allocate damages accordingly. If a plaintiff was determined to be 20% at fault for an accident, their award of money damages to be paid by the defendant will be reduced by 20%. While being comparatively at fault for an accident doesn’t mean that a plaintiff will not be entitled to money damages, it does mean that they will not be able to succeed on a motion for summary judgment on the issue of the defendant’s liability. Summary judgment motions on a defendant’s liability can succeed only where there are no disputed facts about an accident that, if resolved in the defendant’s favor, could mean that the defendant was not the sole cause of the accident. In this case, the defendants argued that Lindo had stopped at the stop sign before entering the intersection, as required by law, and that Fuertes contributed to the accident by failing to yield to the truck. The Appellate Division disagreed with this reasoning and granted Fuertes’ motion. The court’s opinion noted that, while a driver is first required to stop at a stop sign, that driver’s duty isn’t met if he does not also yield to any vehicles in the intersection who have the right-of-way after stopping. A driver who merely stops but does not yield to cars with the right-of-way will still be found negligent for failing to react appropriately at the stop sign. The Appellate Division determined that Lindo was necessarily liable for this accident. The opinion noted that a driver who expected that opposing traffic would yield to him isn’t obligated to scramble to avoid a crash when a vehicle enters the intersection against the rules of traffic. The judges determined that, since Lindo was the only driver with a duty to yield, and he had not, he was the only driver responsible for the accident under the law. If you’ve been injured in a traffic accident in New York, find out whether you’re entitled to money damages for your injuries by contacting the knowledgeable and seasoned Manhattan personal injury lawyer Leandros A. Vrionedes for a consultation on your case, at 212-889-9362, or in Queens at 718-777-5895.